"A father does what he must to protect his son and his country in the absence of kings." 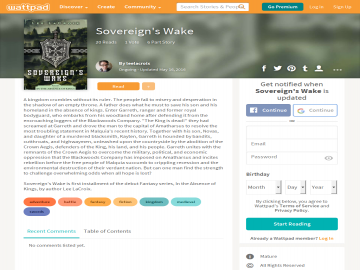 Sovereign's Wake has not been reviewed yet. Sovereign's Wake has not been recommended yet.